Service, building community at the heart of the unique event business. VANCOUVER — This past Thursday, on May 31, the Decor Lending Library held its grand opening. This operation, a new nonprofit, community-serving endeavour founded by event designer Christina Safford, houses a substantial collection of event decor that can be borrowed by anyone, for any event, absolutely free. 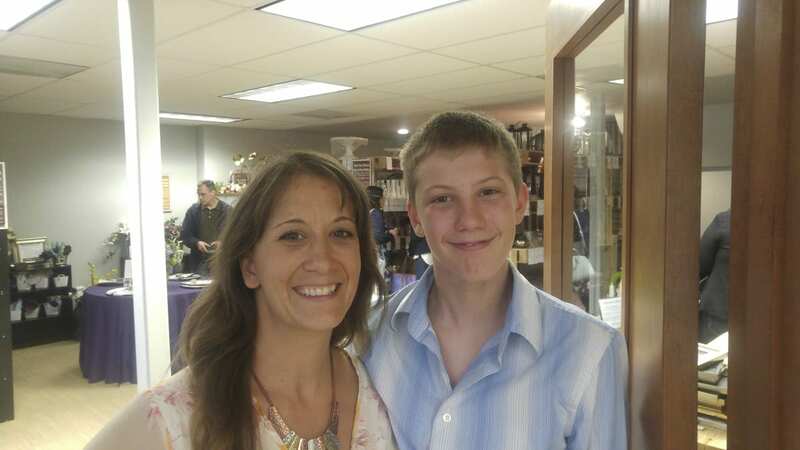 Christina Safford has been in the event planning and designing business for over 20 years, so when she recognized the need for people to find a place for their used event decor at the same time other people needed a low-budget way to access such items, she and her son, Loki, 12, sprung into action and decided to set up the lending library. Christina Safford and her son, Loki, 12, operate the Decor Lending Library, a business where anybody can borrow event decor for free. The Saffords were inspired to start the project after spending six months in Mexico, where they fell in love with the sense of community among the people there. Photo by Michael McCormic Jr. The idea that followed that realization was simple: create a place where people can send their old event decorations and know that it will be used for a good cause. Instead of throwing it away or storing it for decades, Clark County families and event planners now have another option for their used decor. Safford also recognized that there were families in the area who simply could not afford to buy new decorations for celebrations, so, while the lending library gives some people a place to responsibly get rid of their used event items, it also gives other people a place to find decor items that they otherwise would not be able to access. “There’s a great need out there for people who need a little extra help in their event,” Safford notes. At the lending library, visitors are welcome to borrow tabletop decor, vases, candle holders, lawn games, and any other decorative items that are donated to the organization. Items not available for borrowing from the library include tables, tents, chairs, linens, or other large items that are expensive to maintain or transport. The community service aspect of the lending library is Safford’s primary focus, but she says there is also a goal for responsible use of resources, community engagement, and sustainability. “We’re also trying to do a little more sustainability and give a use to those leftover items and create a better, green environment within our community and really give people a chance, an opportunity to do their little part,” Safford explains. Ultimately, it comes down to offering everybody a chance to make a small difference in their community, including the many local event-oriented businesses such as florists, disc-jockeys, design stores, and party supply warehouses who have sponsored the foundation of the Decor Lending Library. These sponsors including Safford herself, who runs Muse Design, an event designing business. In fact, the library receives its funding through donations from these sponsors and the revenue generated by optional membership fees and event designing consultations that visitors can reserve with Safford at the library. According to Safford, the entire vision for the lending library operation finds its humble beginning in an eye-opening trip to a third world country, where they encountered a strong sense of community that touched their hearts and inspired them to found the business. In addition to free decoration lending, services including consultations, memberships, party planning sessions, and decor workshops are available at the Decor Lending Library for a fee. For more information, visit http://decorlendinglibrary.com/.